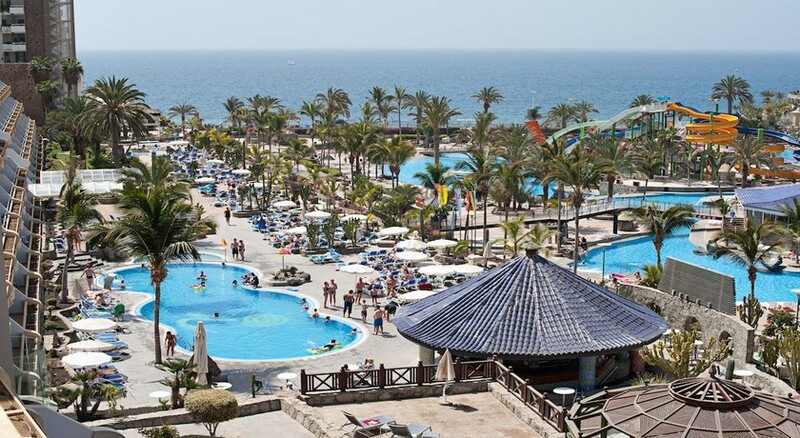 Located on a hilltop and offering gorgeous sea views, Hotel Paradise Lago Taurito is a 3-star all-inclusive hotel, just 50 yards off the beach. 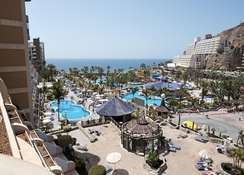 The hotel offers numerous facilities for a fun family holiday in Gran Canaria—from clubs designed to keep the kids and teens busy, wellness centres and spas, golf courses, internet corners, pools and bowling alleys. Plus, there are interesting resorts to go on excursions and restaurants serving delectable cuisine. All in the worry-free all-inclusive deal, a great value for money. The air-conditioned rooms offer great views of the ocean or pool and gardens, and are elegantly furnished with modern amenities with a private terrace/balcony to boot. Set amidst lush gardens, the Hotel Paradise Lago Taurito has its own water park – Lago Oasis Water Park. The park has exciting water slides, foam jets and hot tubs. Boasting of the one of the best-rated locations in Taurito, it is located 10km from the town of Mogán with access to the GC500 Main Road. The Gran Canaria Airport is about 52km from the property. 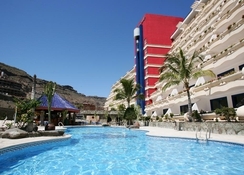 Hotel Paradise Lago Taurito offers air-conditioned rooms offering elegant views of the Atlantic Ocean. These come furnished with private bathroom, satellite TV, telephone, minibar (not-stocked) and safe. Rooms are categorised as standard double, family room and economy room. The hotel restaurant offers a wide array of cuisine from Italian to Spanish to international prepared by expert chefs and is open for all major meals in buffet style. It also has show cooking and pizza counters. Guests can relax with drinks at the lovely pool bar and an evening bar. 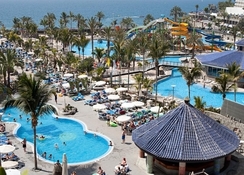 Hotel Paradise Lago Taurito’s onsite water park Lago Oasis Water Park has exciting water slides, foam jets and hot tubs. There are also facilities for tennis, squash, and paddle courts, at extra charge. For kids and teens there are Mini, Maxi and Teen Clubs which offer themed parties and supervised excursions to the beach. There is a fine spa that offers relaxing therapies and treatments. Public parking is possible on site. Hotel Paradise Lago Taurito truly is paradise!!! This hotel was fabulous and I will definately be going there again. The hotel is incredibly clean and all day long you can see the cleaners working, Even the grounds were kept lovely. This is the place for families with youngsters. Their own water park on site and beach just a two minute walk from the hotel you really don't need to travel anywhere although that is an option. The food caters for all nationalities so obviously there were some things we had never tried before eg I thought i saw pigs in blankets so put some on my 9 yr olds plate and when he bit into it it was a date in sausage skin with bacon it was hilarious. There is always something to choose from and it is beautiful. Bread rolls, cheese, meat salad, veg, pasta, fruit, desserts the food is mouthwatering. Staff were great and friendly. Every balcony looks out with a great view. We were right next to the lift but this wasn't a problem. The kids staff were great always on form and doing crazy routine dances and putting on shows. If you want relaxation this is the place to go, even though the hotel is massive it is exceptionally clean, friendly and inviting. We loved it!!!!! !